Photo of: West of Ireland: Kerry: Kenmare. 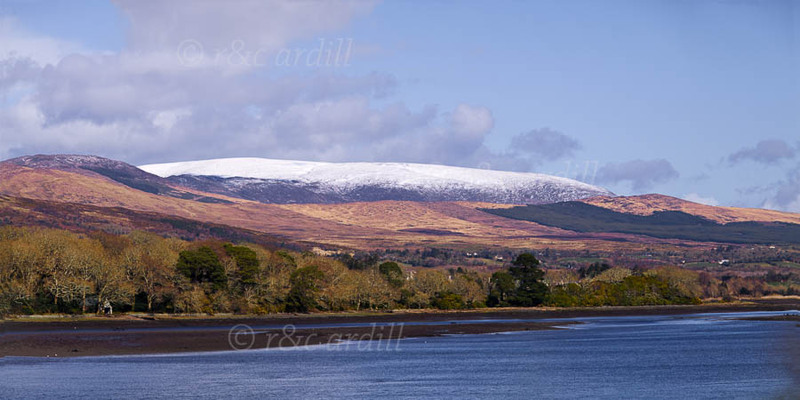 Kenmare River with Mangertonbeg Mountain in the background. This photograph was taken at the end of March during a cold spell. Snow on the mountains is unusual at this time of year.